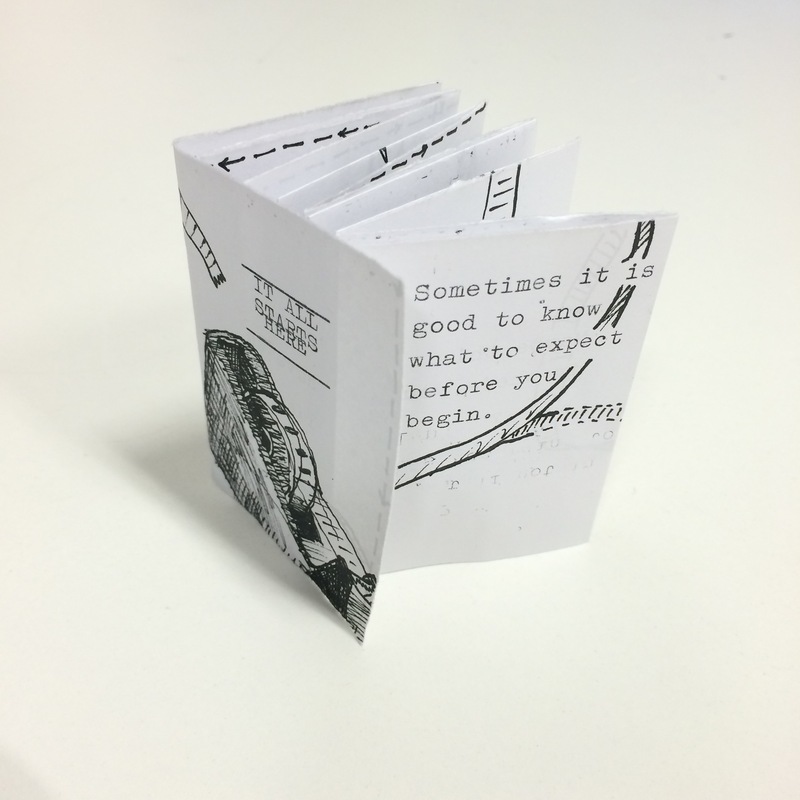 I made a zine out of a single sheet of paper today — you basically fold your page into quarters and quarters again, for 16 pages including a self cover, which is a form I could play with forever. What looks like the title is actually the first rule. If you see me out and about, I’ll happily put one in your hot little hands, but there’s a catch: you have to construct it yourself. Feel free to bribe me to teach you. Or read the Rules for the Rules (aka instructions), below. Here’s the tried-and-tested A4 version of The Rules. I’ve tried to format it to US letter as well but I’m not sure if it will work. NOTE: Print head-to-head so the top left of one side reads “What if nothing goes according to plan?” and when flipped, the other side begins “Sometimes you will find…” reading vertically. Fold in half horizontally. Unfold. Fold the top and bottom in to the centre fold. Unfold. Crease these three folds again in the opposite directions. With paper unfolded, repeat folding process vertically, including re-creasing everything. Unfold paper and find the side with the dotted line, which goes in a squared-off spiral. Tear carefully along the dotted line. Make sure not to go past the corners! Beginning with the page “Sometimes it is good to know what to expect before you begin.”, fold the pages back and forth til you get to one with the drawing, which is the front cover, and the one with the seven Xs, which is the back cover. Now you can read it. Maybe.